Let us, at SSA, plan a day for you that on one hand remind you of childhood desires and on the other hand, bring you in the magical world of the relay run of fun, excitement and incomparable entertainment obviously with your family. No more that you only get to see the things on silver screens, but for yourself; it is time to be part of that excitement that has always enthralled you. Be dazzled and delighted by an immersive entertainment experience that brings the silver screen to life. Enter the thrilling world of movie magic and live the moves instead of merely watching them. 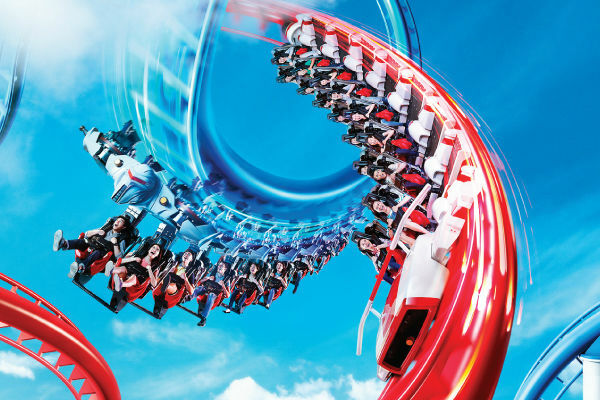 Captivating and absorbing roller coasters and other movie-themed rides will fill your day with fun, enjoyment and satisfaction at Universal Studio Singapore. 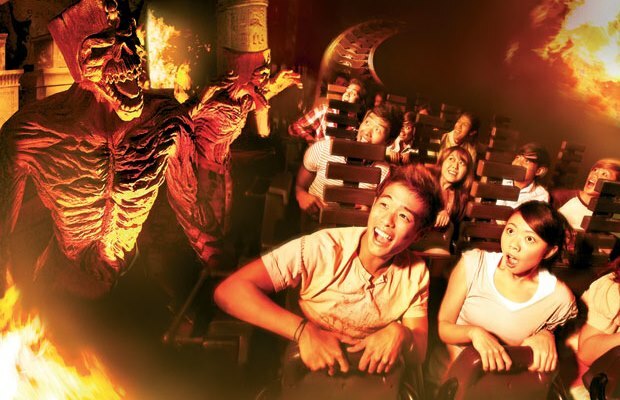 At Universal Studio Singapore, you will not be sitting in front of the movie screen, but actually will experience the movie being part of it. Infect, you will be riding the movies; experiencing the cutting-edge rides, riveting shows, and mesmerizing attractions based on favorite blockbuster films and television series, including Puss In Boots’ Giant Journey, Battlestar Galactica, Human vs. Cylon, Transformers, The Ultimate 3D Battle, Jurassic Park Rapids Adventure, Sesame Street Spaghetti Space Chase and more! A perfect day of family fun, where your kids will be having a time of their life and you adult couple having the most memorable day out is planned. 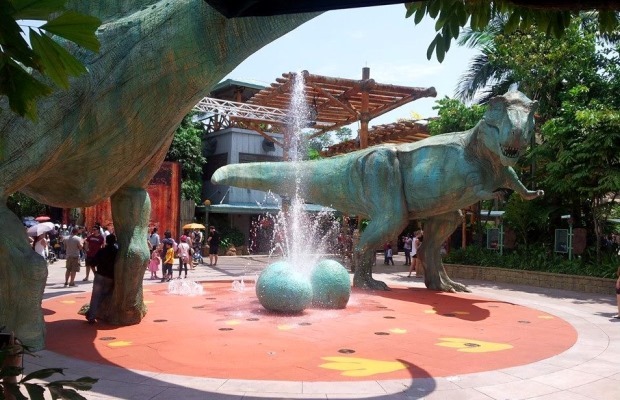 And if you are a regular visitor of this blog, you are lucky to enjoy up to 14% discount on Universal Studio Singapore tickets. So, fasten your belts. Here we go. Opened in 2010, Universal Studios Singapore is part of the Resorts World Sentosa complex on Sentosa Island. The movie-theme based park has 7 zones – Madagascar, Far Far Away (Shrek theme), The Lost World, Ancient Egypt, Sci-Fi City and New York. Each of these 7 zones has its own rides, shows, attractions, shopping points, eating joints and street entertainment around the theme. 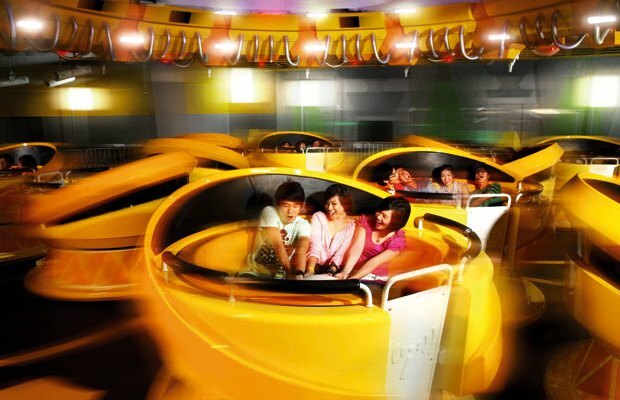 The entire park is filled with innumerable rides based on movie themes, fascinating street performances and live shows as well movie characters. Reaching this place would never be an issue. 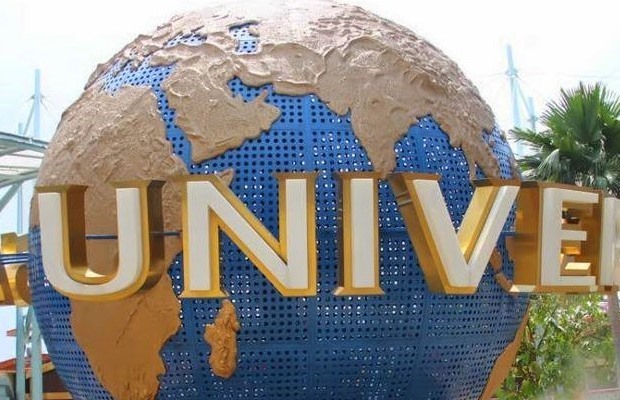 Just take the MRT to the Harbour Front Station at VivoCity and get down at Waterfront Station and here you are at the open gates of Universal Studio Singapore. 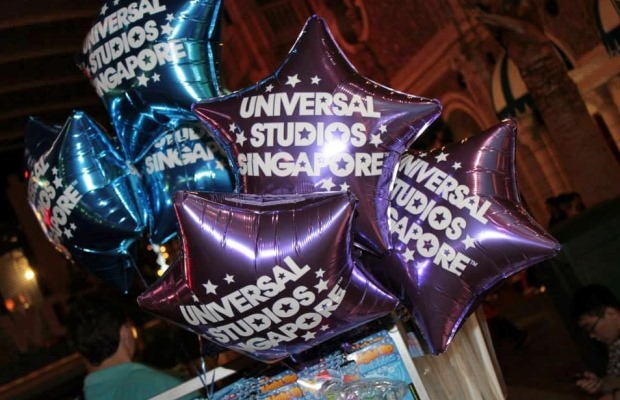 As soon as you enter in the Universal Studio Singapore, you reach to Hollywood. The Hollywood theme zone is at the main entrance of the park. The Lake Hollywood Spectacular and Monster Rock are the main attraction of the zone. Besides, you should never miss a chance to catch the street entertainment where you get to see Mel’s Dinettes, Daddy O’s and the Cruisers. Soak in the impressive city skylines, neon lights, and facades that set the scenes for big city fun and real-time movie production. Feel the spirit and energy of America’s biggest and grandest city as you stroll along the sidewalks and enjoy all the classic landmarks. The New York zone is based on post modernization era. Arrive early to catch on to some of the fascinating forms of dancing at street entertainment. Lights, Camera, Action! Hosted by Steven Spielberg and Sesame Street Spaghetti Space Chase are the two main attractions of the New York Zone. You will be won by a special effects show of a hurricane. You will gain altogether a different dimension of film making in this zone. Time travel into the ancient world of Egypt from contemporary New York in the Ancient Egypt zone. 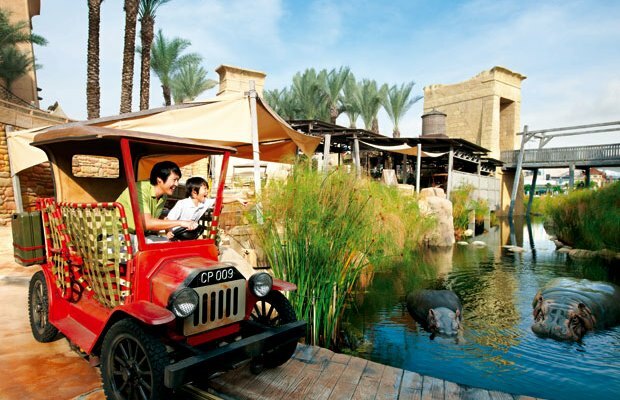 Based on Ancient Egypt theme, the zone showcases pyramids and the Pharaoh’s tomb, which were part of the discovery in the Golden Age of Egyptian Exploration. Revenge of The Mummy – depicted in The Mummy – will fascinate you. This zone had some very cool architecture and a cute jeep ride for kids. Treasure Hunters is a captivating ride for young kids. Besides, encounter Egyptian royalty and the Army of Anubis as you experience the Golden Age of Ancient Egypt. Citizens of today’s world will find this zone the most fascinating one, as this zone has attractions fresh in the memory. The city of the future has the ultimate intergalactic battle of Good vs. Evil. You will experience the a vibrant metropolis with all the ultimate modern conveniences. 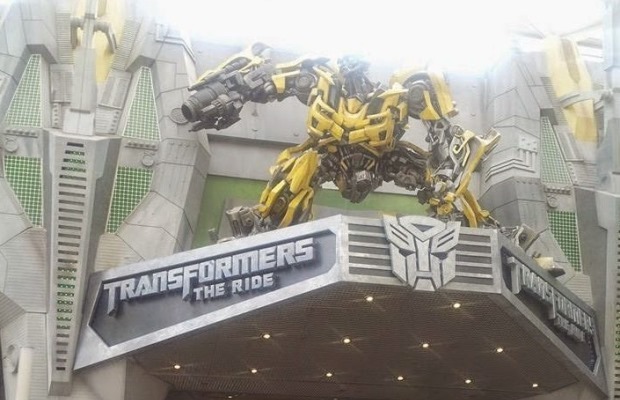 Test your intergalactic stamina on this whirling-twirling attraction; Accelerator or join Optimus Prime and the Autobots as you become a freedom fighter in the ultimate 3D battle against the forces of evil in the Transformer ride. Far Far Away is one of the most occupied zones by visitors as it has maximum number of rides. 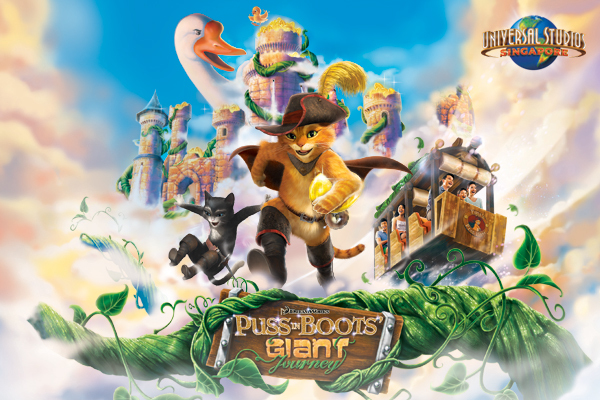 Puss In Boots’ Giant Journey, Shrek 4-D Adventure, Donkey Live, Magic Potion Spin, and Enchanted Airways are the main attractions of the zone. Far Far Away gives you an insight into the lifestyles of the rich and fairy-taled. You will watch Puss In Boots and Kitty Softpaws flaunt their slick flamenco moves in The Dance For The Magic Beans. Don’t forget to stay for pictures with our feline stars. 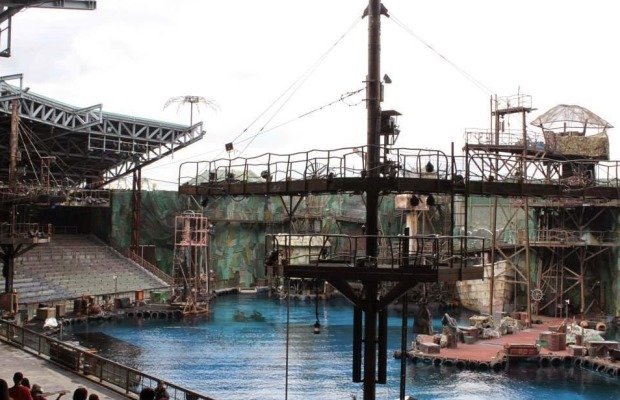 The Lost World zone is divided into two themes: Jurassic Park and WaterWorld. This is probably the most entertaining zone in the USS. 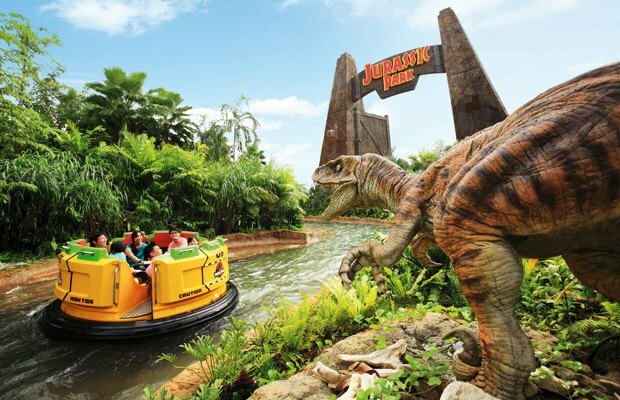 Experience a dense tropical forest where dinosaurs lurk, then watch death defying stunts filled with thrills and spills. Amber Rock Climb, Canopy Flyer, and Dino-Soarin are the other three rides. 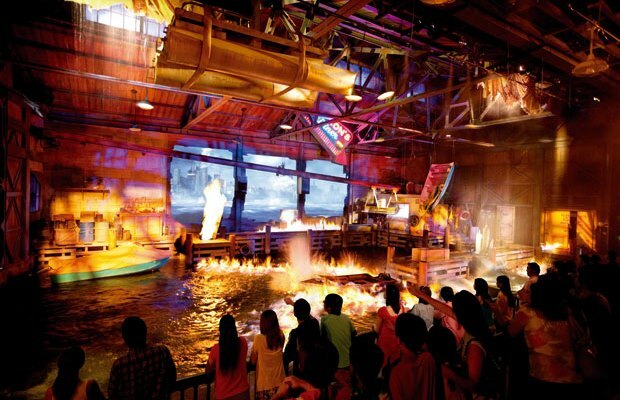 Do not miss the suspended roller coaster and an opportunity to get wet on a river raft ride. In Dino-Soarin, children can pilot their own Pteranodon, soaring up into the clear blue sky or down into the cooling shadows. Do you love animation films and cartoons? Well, then this is the perfect zone for the kids to enjoy on their own and learn a few fascinating things. 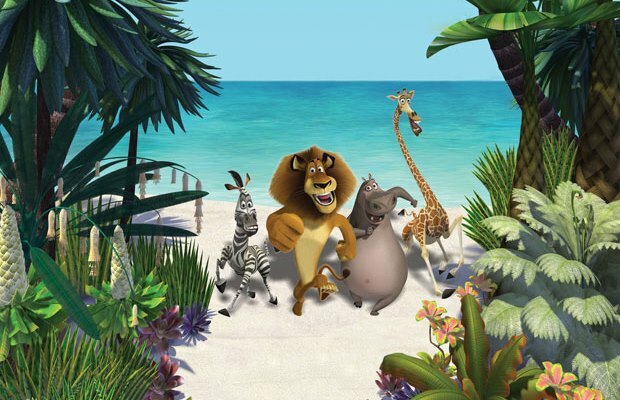 Madagascar is based on the hit DreamWorks Animation film, Madagascar. This zone brings you to a dense tropical jungle, filled with strange and wonderful animals like lemurs and foosas. King Julien’s Beach Party-Go-Round and Madagascar: A Crate Adventure are the main attraction of this zone. Ride this crazy carousel with King Julien, the Lemurs and more of your favorite Madagascar characters. The Madagascar Boogie will introduce you to the characters from DreamWorks Animation’s movie, Madagascar! Are you still thinking? Kay, let us offer you 14% discount on USS tickets as promised. Book your tickets now, because, this October; Universal Studio Singapore is going to be the most fascinating place in Singapore with new street performances for a limited time. 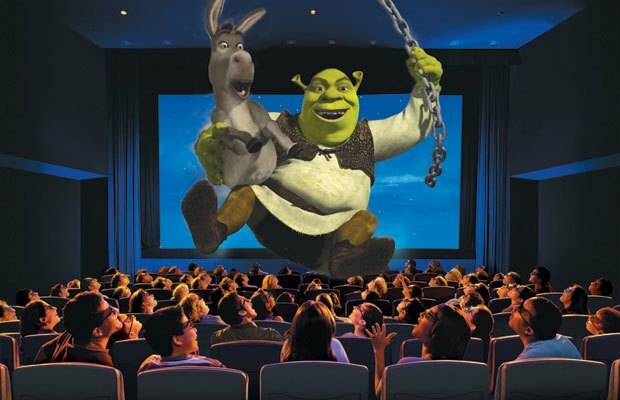 So, make the most out of discount and live a fascinating day on the silver screen.